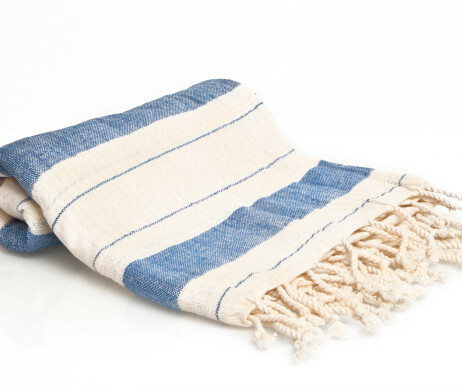 This thick, but quick-drying 100% Turkish cotton peshtemal is perfect from the bath to the beach. 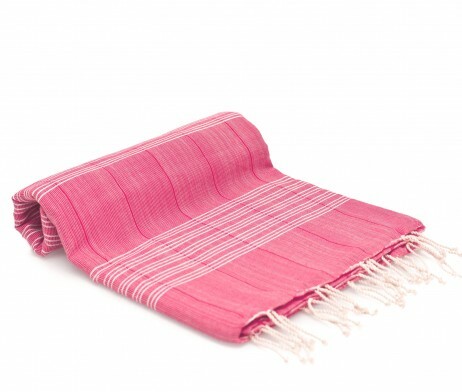 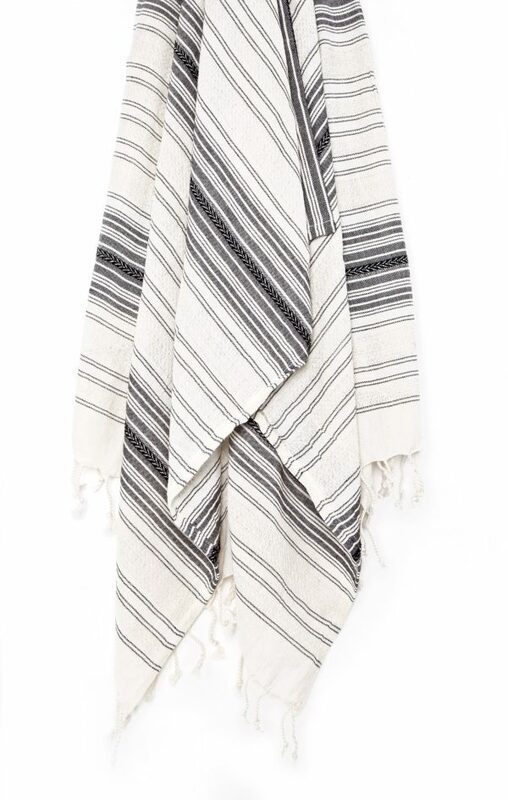 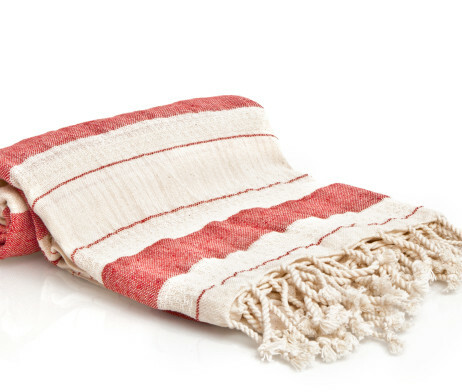 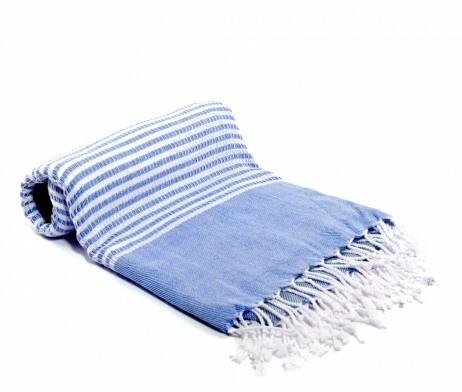 Handwoven from 100% cotton, this luxurious Turkish bath towel creates a perfect balance between absorption and softness. 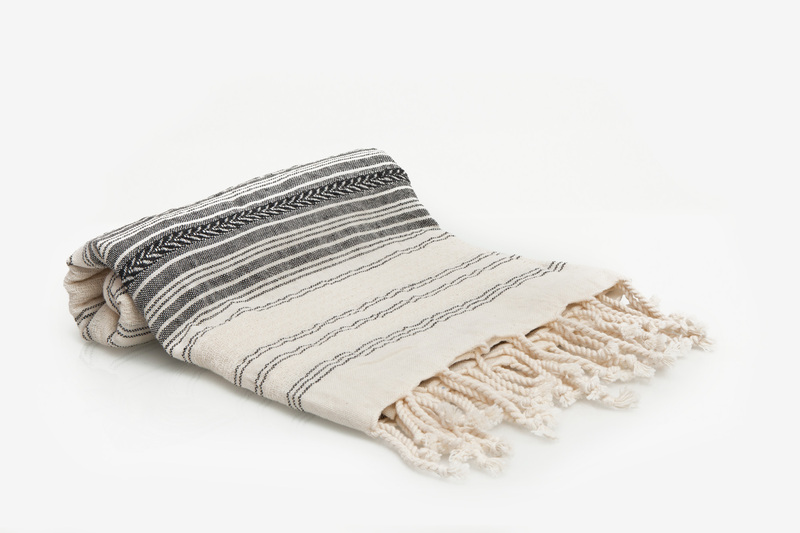 A hand-knotted fringe adds a traditional touch.